Comm Eye Health Vol. 31 No. 101 2018 pp S11 - S15. Published online 10 July 2018. Chief Neonatologist: Fernandez Hospital, Hyderabad, India. 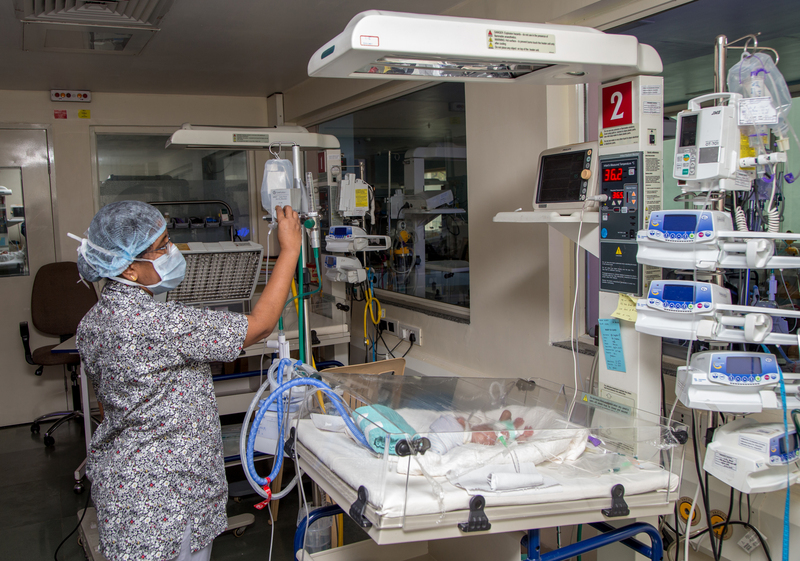 Neonatal nurses are pillars of the neonatal intensive care units (NICU). 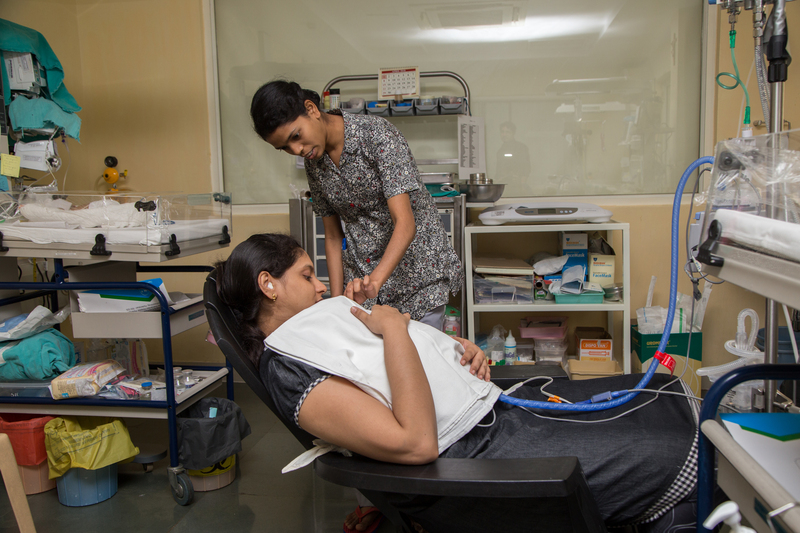 Their knowledge and clinical skills are essential in providing best practices in quality care in preventing ROP in preterm babies. Transfusion of packed RBCs is another ROP risk factor. Adult haemoglobin has α2β2 chains which have low affinity for oxygen as compared to the haemoglobin of preterm babies, hence more tissue delivery of oxygen results in hyperoxia. 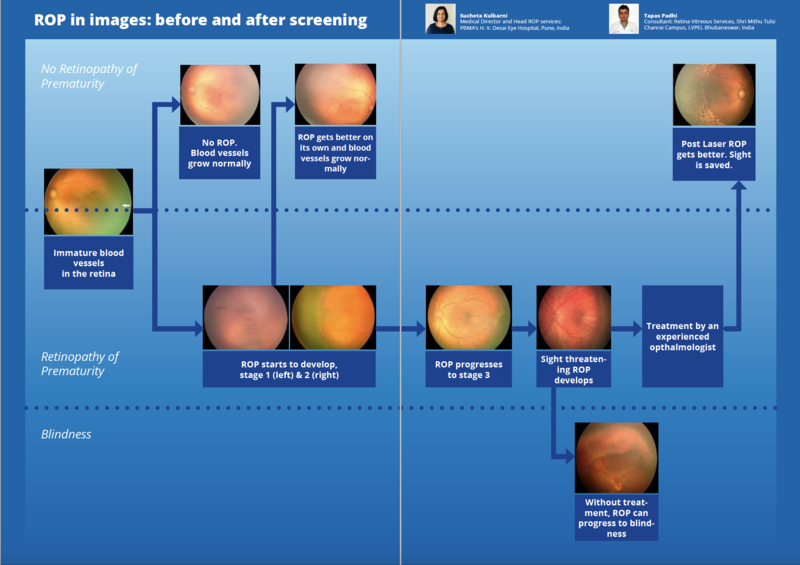 Adult RBCs are rich in 2,3 Diphosphoglyceric acid (DPG) and this binds with deoxyhemoglobin and stabilises the low oxygen carrier state making it difficult for oxygen to bind, resulting in more release of oxygen to the retinal tissue. Significantly low haemoglobin or platelets on the other hand can also worsen ROP. Hence written guidelines for transfusion in the NICU will help in restricting adult blood transfusions. Neonatal infections, particularly fungal infections, are also risk factors for ROP. A systematic review and meta-analysis of eight studies found that systemic fungal infection in very low birth weight infants was significantly associated with ROP and severe ROP.7 Neonatal bacteremia is associated with severe retinopathy of prematurity in extremely low gestational age neonates. The increased risk associated with infection might be partly due to systemic inflammation, which could act synergistically with hyperoxia. Chorioamnionitis is often associated with higher levels of circulating proinflammatory cytokines which could act with postnatal infections resulting in higher cytokines and later development of ROP. Some of the Do’s and Don’ts in prevention of neonatal infections are described in Table 1. ROP prevention is a team responsibility,and parents must be seen as equal partners in that team. Good communication is at the heart of the relationship between the baby’s present medical caregivers and the parents, the future caregivers. Nursing staff inevitably spend the maximum time talking to parents. They are often the most trusted members of the team, so their input into written material and how it is presented is vital. At discharge brief the mother on the need for subsequent screening for ROP, hearing and neurodevelopment. Ensure follow up on schedule and become part of the extended family of every newborn.